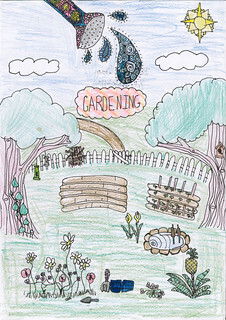 Healthwatch Bucks invited primary schools across Bucks to enter our “feeling happy” drawing competition. Over 125 children joined in. At Healthwatch Bucks, mental health is an area we focus on. So we wanted to talk to people about what helps them stay mentally healthy. We also wanted to do something that was fun! 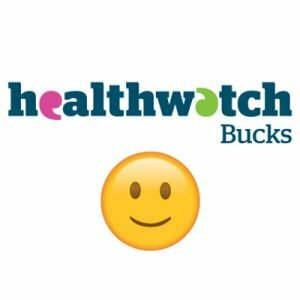 Healthwatch Bucks invited primary schools across Bucks to enter our feeling happy drawing competition. Buckinghamshire County Council also provided a lesson plan to help teachers run the activity. We were delighted with the response! We received nearly 130 wonderful feeling happy drawings of what made children feel happy and healthy. Everyone who sent in a drawing had a chance to think about what made them happy. And that is important because if you know what makes you happy, it can help you stay happy. And if you know what makes your friends happy, you can help them when they are sad. So a big thank you to everyone who entered, both the school children and the schools who helped them – and to Wycombe Wanderers who provided family tickets for the winning school children. Thanks also to local artists Liz Grammenos and Jenny Thompson for helping us judge the wonderful entries. And finally, thanks to Graham Faulkner, one of our Directors, for his contribution to the judging and for giving out the prizes. You can view the pictures in a Flickr album or watch a short video of the winning entries. You can see a preview of each below. We also prepared a short report which tells you what actually did make our children happy (it wasn’t unicorns! ).